Our alpine hut is located in the beautiful Ellmautal (valley) in Großarl, Salzburg. 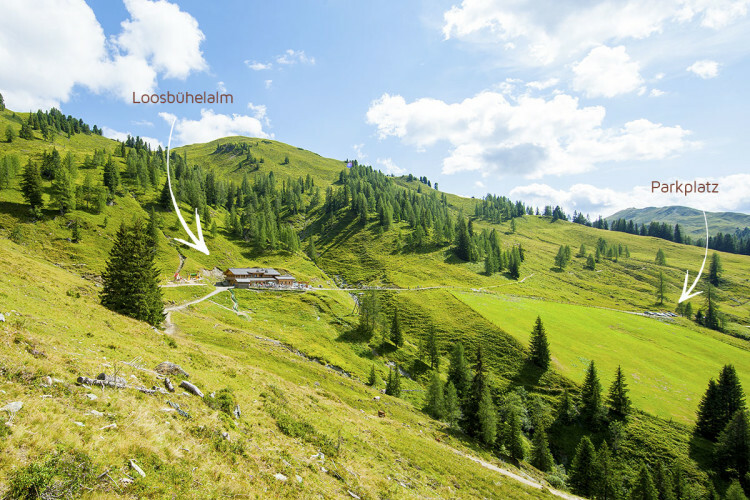 The starting point to get to Loosbühelalm Hut is the parking area (ca. 6 km away from the center of Großarl). There you will find two large parking areas, and from them it is about a 1 1/4 hour comfortable hike up to our hut (the hike is also open in winter). The red symbol marks the location of Loosbühelalm as well as the parking area. Enter the following GPS-Data in your navigation system to find your way to the parking area: Latitude: 47.23496497, Longitude: 13.26804042. In Summer: Overnight guests, people with disabilities, families with small children as well as model airplane pilots are allowed to drive up to 100 m in front of the hut. 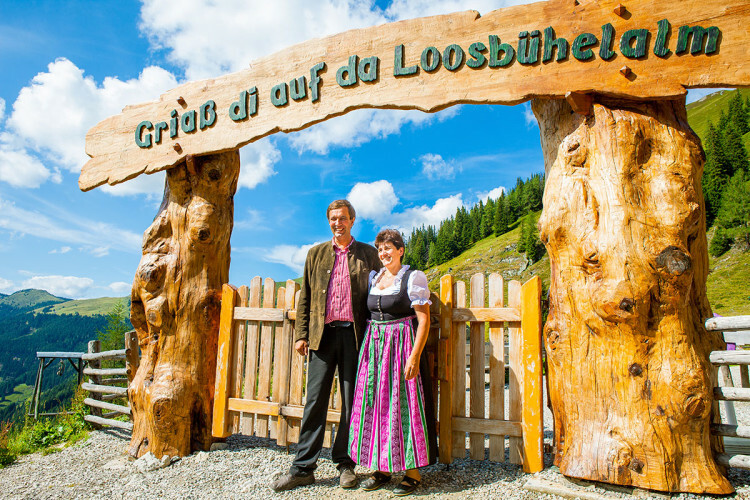 Payment for road access and a flying license costs € 10,- which we credit to you for later use at Loosbühelalm. The road to the alpine hut is also the official mountain biking trail. In Winter: The road to Loosbühelalm is closed to private vehicles. Exceptions can be made at arranged times for taxis and on-site transportation services.